Home Android How to fix error obtaining IP address in android smartphones. Fix error obtaining IP address in android: Most of the people are using android smart phones nowadays. But without any internet connection your smart phone is of no use. If you are using any Wi-Fi connection, then there are chances that you can face problem like error obtaining IP address. Although this is not a very common problem but still if you are getting this error then in this post I will give you some possible solutions to this problem. Just go through the post carefully. Before knowing the fix let’s go through what causes this error and how does it occurs. Whenever you try to connect with your Wi-Fi, your device first scan the network available then it obtain your ISP’s IP address and connect to it. But due to various issues it couldn’t obtain the IP address and start rescanning the Wi-Fi networks available. Read some possible solutions to fix this play store error. Just check out both the solutions and go for whichever suits you the best. Select your Wi-Fi and the select show advanced options. In IP settings select static IP. Once you have selected static IP one can see number of options below. You need to enter those values manually. For IP address enter value 192.168.1.x. Where you can vary x from 0 to 255. Gateway: 192.168.1.1, Netmask 255.255.255. Now you need to enter Google dns in dns box provided. So enter 8.8.8.8 in dns 1 and 8.8.8.4 in dns 2. Once you have filled the required entries again try to connect wifi with your isp. You need an internet connection for this. 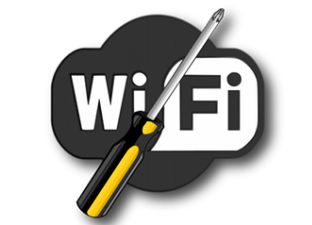 Install Wi-Fi fix manager from play store. Once you have installed the app leave rest of the issues to it. This app will try to solve obtaining IP address error by changing your Wi-Fi country code. I hope after going through this post you can fix your server not obtaining IP address error. If you still got any problem feel free to ask in the comments box below.